Note: This review contains spoilers from book one so if you haven't read The Memory of After yet, you might want to refrain from reading this review until you get up to speed. I thought one advantage of dying was that you'd finally know what happens to you after you die. But here I am, dead, and I'm still in the dark as to what comes next, if anything. A better place? A worse place? No place at all? Now that Felicia Ward has defeated the Morati in Level Two and been reunited with her boyfriend Neil, she is ready to move on to Level Three and begin what she thinks is her long-awaited, peaceful afterlife. Oh how wrong she is. Upon arriving in Level Three, Felicia soon discovers that the Mortai have infiltrated this new level and are sabotaging it with powerful and deadly explosions. Felicia realizes that she must make a choice between seeking answers to the past that she is desperate to remember or defeating the Morati yet again in order to move on to the next level. Another risky choice she must make is realizing that Julian, her complicated former love interest, may be the only person who can help her figure out what to do. Afterlife-changing choices are all around her in Level Three, and it seems like no matter which one she makes, she is going to lose. Will Felicia choose to find answers to her past and risk losing Neil? Or will she follow her heart and risk losing herself? As I did when I wrote my review for the first book and in the interest of full disclosure, I want to put it out there that the author is a friend of mine. Feel free to use that information to determine as you see fit, the legitimacy of this review. 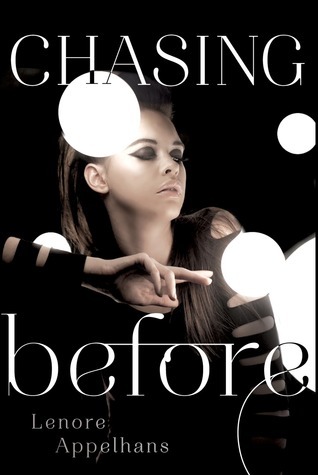 Chasing Before is a strong sequel to The Memory of After but it is also quite different from book one. Gone are the white, hive-like pods of Level Two where inhabitants are drugged up on memories of their past, and we now enter a world where the deceased begin training for an afterlife career. The dystopia label that I felt was a misnomer in the first book, in my mind has gone to straight-up fantasy here in book two. I don't see any signs of sci-fi/dystopia in Chasing Before. Lenore's strength in both her first book and now Chasing Before is her fierce desire to build a world that readers can immerse themselves in. While I think the world-building in The Memory of After was more vivid and unique, I can still see in this sophomore release that Lenore will always be an author who puts a great deal of passion into creating a new world for readers to escape to. As I did when I first began reading The Memory of After, I started questioning how some of the things in this created afterlife were possible (how someone who was already dead could die again for instance), but I needn't have worried, because those questions eventually get answered. If you are a fan of fantasy and afterlife thrillers, I highly recommend you give Chasing Before a try. It's not absolutely necessary to read The Memory of After first since Lenore gets you up to speed as to what happened in book one in the prologue, but just because you don't HAVE to read book one to understand book two, doesn't mean you SHOULD skip book one. Put this book (and book one if you haven't read it yet!) on your TBR piles come August!